Corey Wadden has issued himself one of the toughest challenges anyone can ever come up against. 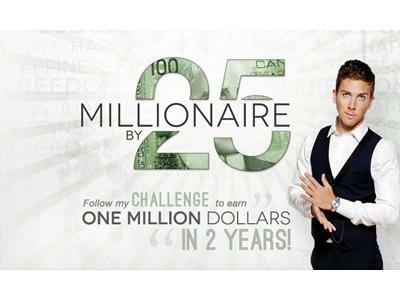 His goal is to become a millionaire by 25 and he has 24 months to do it. With less than a year left and $65,200 earned so far, what does Corey have up his sleeve to reach the $1,000,000 mark. By-the-way, the reason Corey wants to earn that $1 million is to help his mother retire, buy her a car, and send her on a vacation. All of which is beyond commendable and noble. Corey has embarked on an incredible and not-to-be-missed journey. Becoming a millionaire is often coveted and not always achieved. Some work their entire lives and don't earn the sum. Is it possible for an ordinary person to earn one million dollars in a short period of time? With extraordinary determination, Corey Wadden sets out to do just that within a 2 year timeframe. 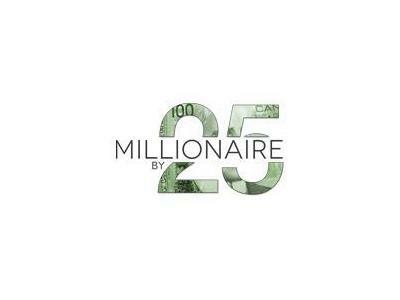 Millionaire By 25 is a documentary that follows Corey Wadden throughout his day to day life as he aims to achieve his goal, retire his family and become financially free. Throughout the documentary, Corey will reach out to existing millionaires for mentorship and guidance to help him achieve the goal. Delving into the world of entrepreneurialism, investing and personal development, he dives headfirst into a world where the risk is high, but so is the reward.